These little boards are constant current LED drivers which were originally designed for 12V MR16 LED light bulbs. 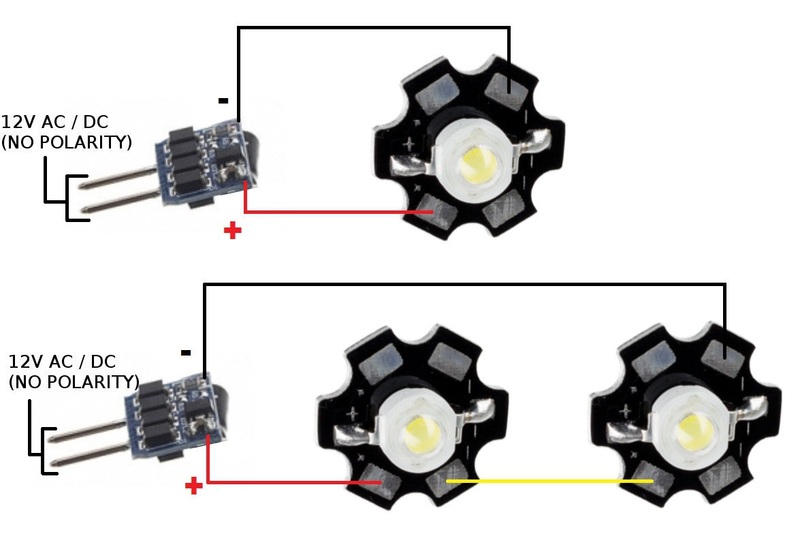 The input is 12V AC or DC and the output can drive about 650mA into 1 or 2 (in series) of our 3W LEDs. Because power input is 12V AC compatible, 12V DC power is not polarity dependent and can be hooked up either way.